It's our second time to have participated on the Fiumare festival in Rijeka and it was a pleasure to represent our products in the city centre on 3rd of June 2016. Together with other representatives from Municipality of Malinska Dubašnica we have represented our Community and our products. Right beside the theatre in Rijeka you had a wonderful opportunity to buy local products and enjoy maritime events trough out the city. Read the excellent article about the award winners of New York International Olive Oil Competition from Croatia. It's an honor to be mentioned in that article. In the latest edition of Maslina magazine (May 2016) is also a short article about our Gold award on the New York International Olive Oil Competition. 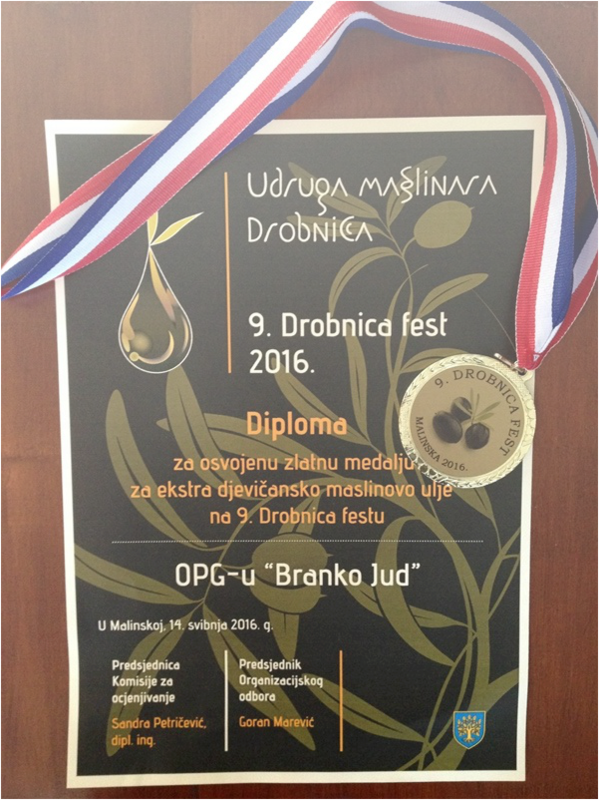 On the Drobnica fest 2016, held in Malinska on island Krk on 14th May, our Utla blend olive oil has won a gold medal. We are very proud both our olive oils have proven it's quality this Year. In a tough competition of over 820 olive oils from around the world our olive oil Utla Plominka has won the gold award. This year 9 olive oils ftom Croatia have won an award and it was a pleasure to defend the colours of Croatia. We are very proud of this award since it is our first big international competition. Utla Plominka has stated it's quality in the mono varietal medium fruitnes category. As far as we know this is the first time an olive oil of Plominka variety has entered a competition as a mono varietal olive oil, and we are very proud it has proven it can stand alongside with other varieties which have proved it's quality. On the "22. 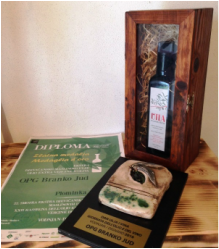 Smotra maslinovih ulja Istre i Kvarnera" held in Vodnjan 2nd April 2016. our mono varietal olive oil Utla Plominka has won a gold medal for extra virgin olive oil. In an always tough run in Istria our olive oil has won points for a high 4th place and we are very proud of that success Plominka olive oil has made in it's first competition of the year. 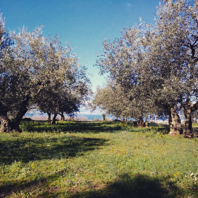 Like every year in the early spring we have started cutting our olives and every day when the weather allows us we spend in the grove. Sometimes you just have to make a cut and start fresh. 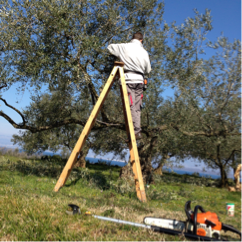 For our olive trees it is the time we cut all excessive branches and stimulate them to grow again and prepare for flowering season and ultimately for the next harvest. After such a mild winter like this cutting the olives is even more important to prevent diseases and stimulate olives for growth. As we always pount out all our olives are hand picked, and it may be fun at 11AM but by 4PM it's a pretty hard work and our olive pickers basically work hard for days. So we made them a little party and you can see some photos how nice a not working day can be in our groves.